Premium electric rack-and-pinion steering system for crisp handling. An available variable-effort feature allows extra power and a tight turning radius to help command slower city driving. 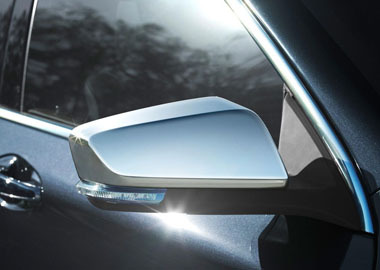 The 2016 Impala LTZ sports heated power-adjustble mirrors with memory settings. 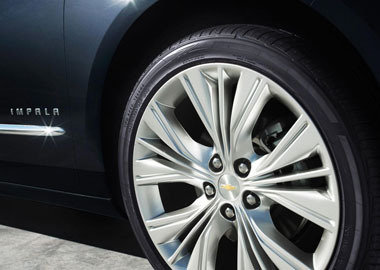 Stop shows and spin heads with 20-inch aluminum wheels, available on the 2016 Impala. The swept character lines etched into the 2016 Impala accentuate a bold, athletic physique. 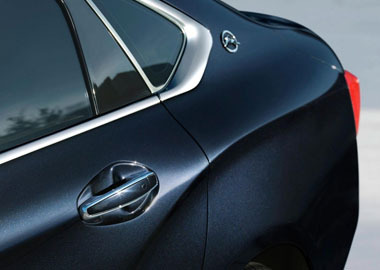 Inside, you’ll find the interior fits you like a driving glove, or a suit tailored to your exact measurements. Heated and ventilated seats are available, as well as chrome and available wood grain to accent the flow of the dashboard. Impala is a sedan that offers clever storage space on top of room for five. Behind an available 8-inch diagonal touch-screen hides a lockable compartment, plus there’s hidden storage in the trunk and umbrella pockets up front. Impala offers ingenious technology to simplify your life, like support for Apple CarPlay™, a smarter, way to use your iPhone with the available Chevrolet MyLink display. Stay connected anywhere you drive. Impala offers available built-in 4G LTE Wi-Fi® connectivity. The powerful signal gives you and your passengers the ability to seamlessly connect up to seven devices to the Internet. Underneath the sculpted body and the refined interior live available safety features and advanced technologies working in tandem to supply your drive with 360 degrees of driving confidence.